The Creature Conservancy in Ann Arbor, Michigan is a place unlike anything else that you have ever visited. If you are a lover of animals, then you will love every minute that you spend here, no matter your age. With a focus on helping sick animals or those that cannot be released back into their natural habitat, their main aim is to help to educate people while also allowing them to build a personal bond with the different animals that are in their care. Often, the best things come about purely by accident, and this is no different. After a 10 pound alligator was left in a crate on the doorstep of a veterinary office, it was decided to give him a home with this being the starting point for the entire project. He was soon followed by a Macaw, a sloth that was abandoned, snakes found in horrible conditions, the number of animals started to build into the setting that you see today. Throughout it all, the main ethos has always been to show love and care for those animals that other people simply did not want, and giving them a home where they feel safe over and above anything else. 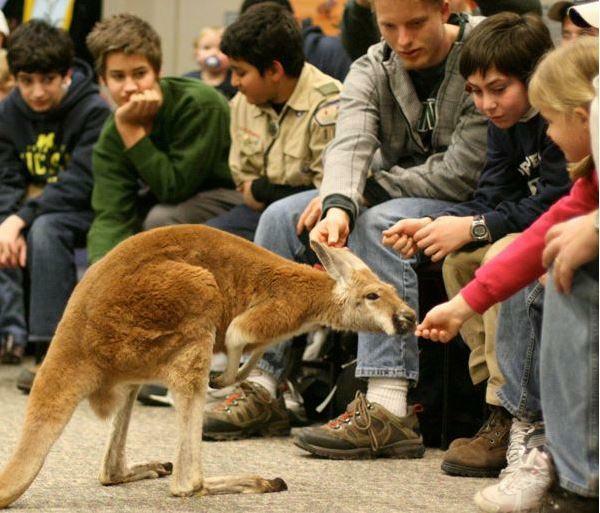 There are a number of things on offer from private parties, to tours, and various animal camps throughout the year that are focused on providing children with a way to interact with animals and to learn more about them. There is also the option of bringing a number of the animals direct to you at your own location if this is a better approach as everyone that attends will still be able to get the same enjoyment out of interacting with the animals as they would have done at their home location. The Creature Conservancy is gradually working to dispel some of the misconceptions regarding various animals while educating people of all ages across a wide range of creatures. It is a not for profit organization, so they do rely on people helping them to stay open which is just another good reason to spend some time checking them out and see how you then feel about the different animals that you encounter while you are there. The Creature Conservancy is truly one of the most unique things to see in Ann Arbor!